Jennifer is a composer and arts executive who has spent almost 30 years working in arts management, music education, as a teacher and lecturer, an orchestral education manager and as a consultant. Jennifer read Music at the University of Edinburgh and continued her research there, gaining an MPhil in Composition in 1996. She held teaching positions at the City of Edinburgh Music School, Stewart’s Melville College and The Mary Erskine School, the Animation Department of Edinburgh College of Art, in the Drama Department of Queen Margaret College and with the Music Faculty at the University of Edinburgh. 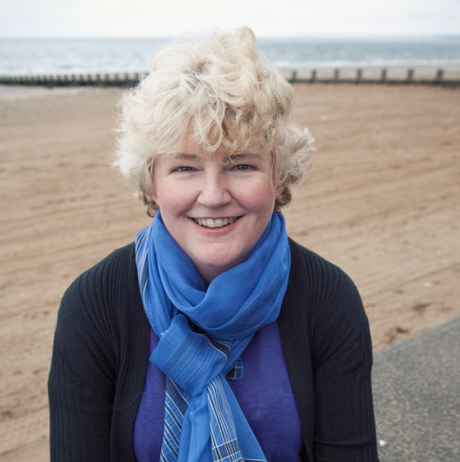 She has run creative education projects for The Cumnock Tryst, the Glasgow Barons, the Scottish Chamber Orchestra, Royal Scottish National Orchestra, Scottish Opera, Scottish Ensemble and the Academy of St Martin in the Fields. In 2003 she was appointed Learning Manager for the BBC Scottish Symphony Orchestra, where she was responsible for devising and managing a wide range of educational initiatives, both in Scotland and internationally. She has served as a Director on the Boards of Lung Ha’s Theatre Company, Drake Music Scotland, ecat (Edinburgh Contemporary Arts Trust) and Hear My Music and is currently on the Board of The Cumnock Tryst. Jennifer remains active as a composer with recent works including Canon(h)ic (St Magnus International Festival), Bi-Cycle (Live Music Now) and Silence (National Youth Choirs of Scotland). Her work has been broadcast on BBC 2, BBC Radio 3 and 4 and Radio Scotland, and has been shown at Film Festivals around the world.